Books for Muslims, converts new to Islam, and non-Muslims wishing for deeper knowledge about the religion. 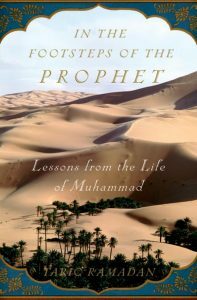 You have mentioned some books like In the footsteps of the prophet, and the Quran by Abdul Haleem, are there any other Islamic books you would like to recommend? Please take a look at the new page on our site The Modern Islamic Studies Curriculum. These are books that I strongly recommend to all Muslim intellectuals and students of Islamic studies. 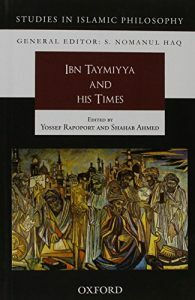 Ibn Taymiyya and His Times is a collection of high-quality scholarly essays on Ibn Taymiyya (d. 1328 CE) edited by Yossef Rapoport and Shahab Ahmed. It is highly worth reading for anyone interested in this important and controversial character of Islamic history. Maybe I should mention that I do not consider myself a follower of Ibn Taymiyya. I do like some aspects of his thinking as do many important mainstream Islamic thinkers, such as Yusuf al-Qaradawi and Yasir Qadhi. The book is an important contribution to our understanding of Ibn Taymiyya, refuting the views of both his extremist supporters and his critics. The essay show that Ibn Taymiyya is a far more sophisticated and multi-dimensional thinker than is commonly imagined. This book will hopefully serve as a landmark in ending the simplistic, biased and prejudiced treatments that Ibn Taymiyya has so far received in both Muslim and Western sources. The first essay by Caterina Bori shows that Ibn Taymiyya was not a representative of the Ḥanbalī school, quite the opposite. He was something of an outsider to the school and was surrounded by a very small group of highly dedicated followers. 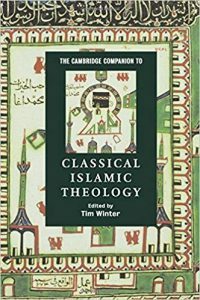 Jon Hoover’s essay focuses on Ibn Taymiyya’s theology. Ibn Taymiyya has unique theological views that differ greatly from Ḥanbalī orthodoxy and that do not follow directly from the views of the Salaf (“Pious Predecessors”, the earliest few generations of Muslims). He argues that God’s relationship with humans is personal and dynamic. He acts directly in time and interacts with humans. This is a far more satisfying view of God to the modern mind compared to the impersonal God of more popular versions of Islamic theology. M. Sait Özervarli’s essay continues the discussion of Ibn Taymiyya’s theology. Ibn Taymiyya, like Ibn Rushd, argues that there can never contradiction between rationality and scripture. When there is a contradiction, either scripture has been misunderstood, or the rational evidence has been misconstrued. According to Özervarli, Ibn Taymiyya argues for a Quran-centered empirical rationalism that shuns the complicated arguments of the kalam-theologians and takes its inspiration from the basic facts of life that we observe around us. According to Ibn Taymiyya there is no need for philosophical proofs of God’s existence since the Quran is full of signs that point to God. These signs are a sufficiency to those who understand them properly. Racha el Omari’s essay focuses on Ibn Taymiyya’s polemics against Ashʿarite theology (the “orthodox” theology of scholars like al-Ghazālī and Fakhr al-Dīn al-Rāzī). Ibn Taymiyya argues for a “theology of the Salaf” that goes beyond Ḥanbalī theology and tries to always re-derive its theological views from the views of the earliest Muslims, although just how much Ibn Taymiyya’s theology agrees with that of the Salaf has to be studied further. It is seems more historically accurate to me to say that the Salaf did not really have much of a theology beyond their faith in the Quran’s literal meaning. This means that any effort to develop an intellectually satisfying theological framework will always need to go far beyond what the Salaf ever said or imagined, and Ibn Taymiyya’s theology seems to fit this description: whenever he tries to build a sophisticated argument in support of some view, he has to venture out on his own onto territory that the Salaf never explored. For this reason he was criticized by other Ḥanbalīs for engaging in too much philosophical thinking. The essay by Walid A. Saleh examines Ibn Taymiyya’s approach to interpreting the Quran as it is laid out in his short treatise Muqaddima fī uṣūl al-tafsīr (An Introduction on the Foundations of Quranic Exgesis). Saleh calls Ibn Taymiyya’s approach “radical hermeneutics” since it attempts to throw away the existing exegetical tradition in order to take the field back to its origins among the Salaf. It tries to force the authority of the hadith tradition and the opinions of the Salaf on the field so that no one would be allowed to interpret the Quran in any way save the way of hadith and the Salaf. Anyone who tries to put forth an interpretation of a Quranic verse will have to find a basis for it in hadith or the opinions of the Salaf. This intellectual caging of interpretive freedom is meant to ensure the “purity” of Quranic interpretations so that heretical and misguided interpretations do not enter into it. Among scholars who followed his methodology are his student Ibn Kathīr (d. 1373 CE), who continued to respect the existing exegetical tradition, and Jalāl al-Dīn al-Suyūṭī (d. 1505 CE), who according to Saleh produced the classic work of the genre of exegesis that Ibn Taymiyya called for. Modern Muslims who are not entirely happy with this restricted methodology can still benefit from sources that try to follow it, considering them one legitimate voice among others (even if such sources consider themselves the only legitimate voices). Livnat Holtzman discusses Ibn Taymiyya and his student Ibn al-Qayyim’s theological views on human freedom and choice. Ibn Taymiyya breaks with existing views on God’s guidance to say that while all humans are born in a state of purity and guidance, a person can go on to choose what is good or evil, and according to this choice, God goes on to guide them further or misguide them. This is a refreshingly rational treatment of the question compared to the views of other scholars. There is still an important question that his theology does not answer; how can free-willed decisions be really free if they can be predicted with 100% accuracy by God beforehand? I have never read an intellectually satisfying answer from any Muslim scholar on this. 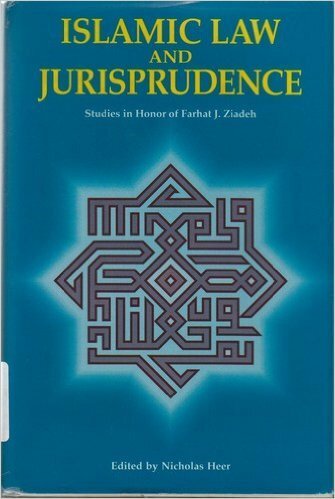 Yossef Rapoport discusses Ibn Taymiyya’s unique legal methodology, such as his rejection of accepted legal tricks that used lawful means for unlawful ends, and his breaking away with Ḥanbalī tradition in order to call for persistent ijtihād (striving to solve issues of law and theology using one’s efforts rather than merely relying on the opinions of past scholars). Intention is of primary importance to Ibn Taymiyya; even if all the proper legal forms are obeyed, if the aim is evil, he wholeheartedly rejects it. As is usual with Ibn Taymiyya, his views are in general refreshingly modern and rational. Tariq al-Jamil’s essay is a short discussion of Ibn Taymiyya’s anti-Shia polemical views. The essay by David Thomas is on Ibn Taymiyya’s polemical response to a Christian piece of writing that attempted to insinuate that all Muslims would embrace Christianity if they understood the Quran and the Bible better. Rather than responding to the Christian piece directly, Ibn Taymiyya uses it as an occasion to discuss why Islam is superior to Christianity. 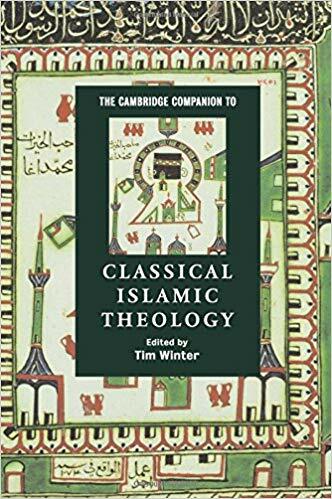 The essay by Khaled el-Rouayheb argues that Ibn Taymiyya’s popularity in the post-classical era has been greatly exaggerated. He was a marginal figure who was rarely mentioned or taken seriously by the scholars that came after him. This state of affairs continued for five centuries after Ibn Taymiyya’s death. It wasn’t until the 19th century that a movement started to rehabilitate his image and popularize his works. The most important figures in this movement were Nuʿmān Khayr al-Dīn al-Ālūsī (d. 1899 CE) and Rashid Rida (d. 1935 CE). Those who follow the way of the earliest Muslims and believe in rejecting innovations must shun such things. If they engage in them, they would be committing a sin. Those among qualified scholars whose own personal opinion (ijtihād) has convinced them that such celebrations are religiously acceptable should be respected. They have the right to their own opinions. Those among the Muslim masses who celebrate such things should be judged by their intentions. If they do it out of good intentions, their deed is accepted. If they do it for other intentions, their deed is rejected. That is an amazingly tolerant view compared to that of some of those who today think they are representative of Ibn Taymiyya’s teachings. The last essay is by Mona Hassan. She argues that Ibn Taymiyya’s views regarding the caliphate have been misconstrued by much of Western scholarship. Western scholars like Henri Laoust wrongly believed that Ibn Taymiyya had done away with classical scholarly view of the necessity of the existence of a ruler that followed the ideals of the Rashidun caliphs. She also discusses his fatwas regarding the permissibility of fighting the Mongols. The group that assassinated the Egyptian president Anwar Sadat in 1981 claimed that their actions were legitimate according to Ibn Taymiyya’s fatwas. Hassan says that this group completely misread Ibn Taymiyya, whose framework is actually concerned with fighting outlaws and rebels. Ironically, that extremist group itself falls within the definition of those groups that Ibn Taymiyya believes can be legitimately fought by the Muslims. She discusses Yusuf al-Qaradawi’s statements in support of peaceful political participation. Al-Qaradawi uses two of Ibn Taymiyya’s fatwas to show that Ibn Taymiyya’s was not an isolationist as some of his admirers believe but rather believed in participating in politics where this could serve a constructive purpose. Ibn Taymiyya and His Times should interest anyone interested in a sophisticated understanding of Ibn Taymīya, Islamic intellectual history and the origins of Salafism. Nidhal Guessoum’s Islam’s Quantum Question (originally published in French in 2009, published in English in 2011) is well worth reading, mainly for its detailed refutation of various pseudo-scientific defenses of Islam and the Quran that have been offered by others. 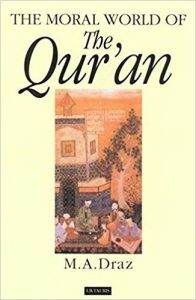 His detailed critique of Iʿjāz literature and its supporters (such as Zaghloul El-Naggar), who purport to show scientific “miracles” found in the Quran and hadith using the flimsiest of evidence, will hopefully help bring the discussion on Islam and science to a higher and less embarrassing plane in the Muslim world. Guessoum’s refutation of misguided Muslim arguments against the theory of evolution (such as those of Harun Yahya and Seyyed Hussein Nasr) and his overview of the scientific support for evolution are also highly valuable. The book is marred by Guessoum’s attempts at coming up with “scientific” explanations for miracles. He suggests that Jesus’s healing of the blind may have actually been the placebo effect, seemingly finding it the most scientifically satisfactory explanation. This rather naive reasoning is symptomatic of the fact that Guessoum offers very little in the way of synthesis, despite the subtitle’s promised “reconciliation”. The book is largely overview and refutation, with little in the way of creative theological problem-solving. Guessoum follows Aristotle and Ibn Rushd in conceiving of nature as a principle that stands above God–what I will call the nature supremacist view. When Mother Nature says something (miracles do not happen), and God says something else (miracles happen), the plain meaning of God’s words is to be ignored to please Nature. Thus Guessoum finds it more satisfactory to believe that the stick of Moses turning into a snake was actually an illusion rather than a fact of reality. Guessoum’s theology is therefore secularized and defensive; he has to find flimsy scientific-sounding excuses (the placebo effect, quantum mechanical indeterminacy) to explain away Quranic statements about divine action in order to be more scientifically “authentic”. That is only the case for Guessoum himself–and only because he has accepted to be driven into the nature supremacist corner. There is an alternative that he is wholly unaware of: the Ghazalian worldview. 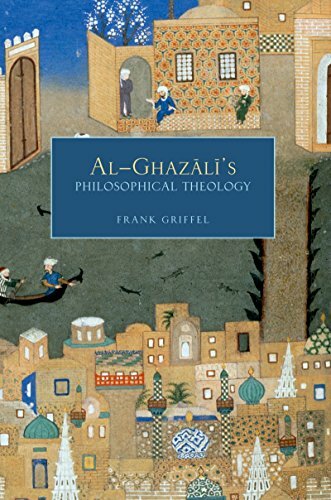 Guessoum is dismissive toward al-Ghazali (who is “orthodox” and therefore automatically persona non grata to Guessoum), unaware that al-Ghazali’s universe-as-simulation metaphor (which Guessoum cites and summarily discards) provides for a better reconciliation of Islam and science than his Aristotle-and-Ibn Rushd-inspired nature-supremacist worldview. The Ghazalian worldview accepts the plain sense of the Quran while remaining utterly rationalist and empiricist toward the natural world. It is more faithful to the Quran because it does not try to explain anything in it away in the service of Mother Nature, and it is more faithful to science because it does not abuse concepts borrowed from fields like quantum mechanics to support mystical explanations. It is both as God-centered as any mystical view of the universe and as scientific as any atheist scientist may desire. In the Ghazalian worldview, since we free our conception of God from the chains of nature supremacism, the literal meaning of the Quran stops giving us trouble. God caused the Red Sea to part? That is problematic to Guessoum and Guessoum’s imaginary literalist since he must come up with an explanation that pleases Mother Nature almost as a deity alongside God. But in the Ghazalian view explaining it is the simplest thing in the world: the person in charge of a simulation can make any change to it he wants. He can cause it to run according to natural laws that he can suspend whenever he wishes. There is no need for quantum mechanical or psychological explanations of this miracle because nature is not a god alongside God, nature is merely a projection, a mirage, upheld by God. Trying to find scientific explanations for miracles is as silly as a video game character trying to find explanations for miraculous events inside the video game using the game’s logic that they see around them, wholly unaware that the video game is actually hosted on a computer and that the miraculous event was just a number that switched inside the computer’s RAM. By being unaware that there is one logic to the inside of the game and another, far more sophisticated, logic to the outside of it, all explanations our character comes up with will be hopelessly inadequate. Only once the creator of the game sends a revelation into the game telling the character that there is an outside infrastructure to the game will the character be able to finally understand the miracle. The miracle had no basis within the game’s logic because it followed a different logic, a foreign, outer logic. The parting of the Red Sea had no need for scientific intermediaries because scientific factors are how God normally does things; when He abnormally does things as in the case of miracles, He is acting unscientifically. Science merely describes God’s normal ways of operating this simulation. So trying to come up with scientific explanations for miracles is to think that God has to bow down to Mother Nature and do things her way rather than His way. According to Guessoum, and I hope I am not being too harsh here, a self-respecting and scientifically-minded Muslim must believe that God has no choice but to act according to the laws of nature. Why? What is so special about nature that God must bow down to it? What a low opinion to have about God! Guessoum could argue that God acts according to nature by choice, but there is no suggestion in the book that he has such a conception. He appears to think of God and nature as two equally powerful deities, apparently thinking this is the only way we can “reconcile” the two and remain scientifically respectable. I respect Guessoum’s right to have his own theology. But I do not respect his apparent thinking that his secularized and defensive theology is the only intelligent and rationalist one. This could of course simply be due to his lack of knowledge of the details and sophistication of Islamic theology. See my essay on reconciling Islam and Darwinian evolution for more on the Ghazalian worldview and how it fits perfectly within a rationalist worldview. He discusses a 2007 conference on “Quranic Healing” organized in Abu Dhabi and attended by many university professors and professionals. The keynote speaker called for integrating “Quranic healing” into medicine in university curricula. Topics discussed included the effect of Quran recitation on water and the scientific basis for the evil eye. There is a selection bias here: only the minority of Muslim professors and professionals who find “Quranic healing” interesting would have been interested in attending such a conference. This tells us nothing about the potential majority of elite Muslims who would have found such a conference absurd. That conference could either be (1) a sign that Muslims are still medieval in their thinking on some matters or (2) one of the last gasps of the dying breed of Muslim professors and professionals who engage in such silly abuses of religion and science. Guessoum expresses many aspects of what I call “Muslim middle class horror syndrome”; the horror of middle class Muslims at what we might call ordinary Muslims. He decries the fact that a Quran memorization competition at his son’s school (in the UAE) attracted the interest of all the parents while a science fair barely attracted a few of them. The Quran competition only focused on memorization, not understanding, and the parents apparently could not care less about comprehension as long as memorization took place. “Islam” might be a completely irrelevant variable here from a social science perspective. Children of doctors and other highly educated professionals, regardless of their parents’ religiosity, are going to enjoy having parents that are going to be as open-minded and interested in science education as Guessoum. And children of uneducated parents are going to not have parents that are interested in science education. It just so happens that in the UAE, most children are the children of uneducated parents. To put it another way, Islamic beliefs never prevented children born to highly-educated parents from reading and taking in dozens of modern scientific books. Guessoum, who had such an upbringing, somehow thinks he is unique. I doubt he is. With or without Islam, children who come from families predisposed to love knowledge and learning will get a wide, modern education. The idea that there are highly intelligent Muslims who refuse to read scientific books (as Guessoum’s theory of the ailment of Islamic cultures would predict) is completely a figment of the imagination; there are no such Muslims. Now, I do not deny that the Arab/Islamic world suffers from far more superstition and anti-scientific attitudes than, say, Sweden. But this may simply represent cultural inertia. The number of people getting a university degree in the Middle East has increased by orders of magnitude in the past 50 years, and this cannot help but slowly change their cultures. It is just that change takes time. We should therefore look at the attitudes of devout Muslim children versus their parents to find out whether Islam is preventing progress as their culture changes or not. I am very much of the opinion that Islam is quite irrelevant here. To put it another way: Islam never prevented someone from being a rationalist. It did not do that in 850 CE, and it does not do that today. Islam can be used as an excuse for irrationalism, but it can also be used as an excuse for rationalism. It is quite amazing that, seeing the extremely diverse worldviews of Islam’s different scholars, one can hold onto the view that Islam somehow hampers rationalism. The existence and celebrity status of rationalists like Fakhr al-Dīn al-Rāzī should be sufficient evidence to show that a person predisposed to rationalism will find rationalism through Islam. It is humans themselves who make Islam rationalist or irrationalist as their own personal and cultural tendencies make them. Islam may not be a causal factor here–it may simply be a victim. Another support for my argument is this: In the Middle East, secularists who reject Islam and proudly embrace theories like evolution as alternatives to the Islamic worldview are going to be just as ignorant about real science as Muslims of equal education / socio-economic status. They will follow a narrow-minded, make-believe science that is almost half made up of a secularist metaphysics. This means that it is the culture that is the problem, not the religion. Even if religion is abandoned, ignorance and narrow-mindedness remains because of cultural inertia. I do not have data to back this up, but my experience of the Middle East strongly supports this view. The solution is going to be slow and will take much time. If each generation is slightly more rationalist than the one before it, then we can consider that progress. Egypt’s scientific output has increased from about 2800 research papers in 1996 to 17,000 in 2017. That is a tremendous increase in scientific output that at least partly reflects increased funding and engagement, and will likely have important ramifications for Egyptian culture. We see the same pattern almost everywhere else in Muslim majority countries: Pakistan went from 890 papers in 1996 to 15800 in 2017, Iran publishes more science than Belgium, Sweden or Poland (data from Scimago Journal & Country Rank). 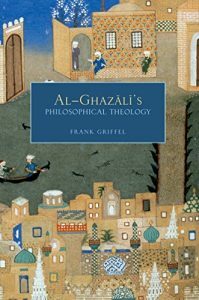 Recent Western scholarship has shown that al-Ghazali wasn’t just a non-enemy of philosophy; he actually tried to integrate philosophy with spirituality and Islamic law. 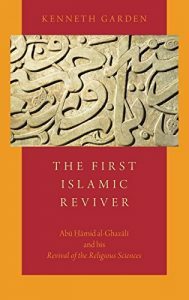 See Frank Griffel’s Al-Ghazali’s Philosophical Theology and Kenneth Garden’s The First Islamic Reviver. Guessoum’s understanding of al-Ghazali is therefore outdated and unaware of recent scholarship. Get it on Amazon. See my review of it here. I am neither a Salafi nor follower of Ibn Taymiyya but I am forced here to defend them against Guessoum’s treatment. He conflates Wahhabism with Ibn Taymiyya’s teachings. Unfortunately it looks like it will take decades before we can rescue Ibn Taymiyya’s image from these caricatures. Guessoum really likes Ibn Rushd’s assertion that there can never be conflict between rational knowledge and scripture–a concept that was in fact very strongly defended by Ibn Taymiyya as well. As a modern Muslim, I find Ibn Taymiyya’s version of the argument superior to Ibn Rushd. Ibn Rushd continues to hold onto philosophical arrogance–the belief that when scripture and philosophy conflict, philosophy should be used to explain away scripture. Ibn Taymiyya has the opposite, and wiser and more modern (some would say postmodern) view. Rather than arrogantly thinking that we are always superior to scripture, we should acknowledge that scripture is superior to us. When there is a seeming conflict between scripture and philosophy (I include science in this), rather than naively explaining away the conflict, we should look deeper and consider the possibility that it is our seemingly rational arguments that are at fault. A good example is the question of Darwinian evolution. Past reformers tried to reconcile Islam and Darwinian evolution by explaining away Islam’s views on creation. As I show in my essay on Islam and evolution, now that we have progressed further in our knowledge, we can actually fully support scripture’s views while maintaining rationality. It was rationality that was at fault in the past, not scripture. As our rationality improved, we realized that scripture had it right all along. A wise person takes a lesson from this: we should strongly resist the desire to explain away scripture when there is a seeming conflict between it and rationality. We should always keep in mind that future generations may solve the conflict without being forced to throw away the plain meaning of scripture. Ibn Taymiyya, despite his faults, was a wonderfully intelligent, open-minded and rationalistic scholar. 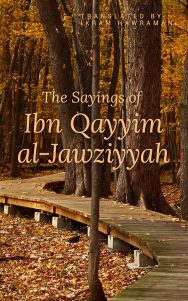 To those of us wishing for a more intelligent and empirical Islamic law, Ibn Taymiyya is a much-needed breath of fresh air compared to the scholars who came before him (for example in his rejection of the triple divorce, in his consideration of the common good as a positive thing in its own right). Those interested in a sophisticated view of Ibn Taymiyya should check out Ibn Taymiyya and his Times (edited by Yossef Rapoport and Shahab Ahmed, see my review of it here). In reality Salafism is a diverse doctrine with an important non-Wahhabi element. Some of the most ardent Salafi followers of Ibn Taymiyya are in fact far more rationalistic in their understanding of Islam than many other Muslims (due to their critical approach to the opinions of previous scholars and toward hadith). As for Salafis rejecting science, if we ignore Wahhabi propagandists then I doubt there is any such pattern. Guessoum mentions Ziauddin Sardar’s defense of Muslims as originators of science and rightly does not agree with it. Despite his high respect for Sardar, he feels free to criticize his often politically motivated statements about Islam and the supposed intrinsic racism of the West, something I was pleased to see. Sardar unfortunately often acts as a propagandist capitalizing on fashionable Western trends, the current fashion being the doctrine that while all cultures and civilizations are somehow equally worthy, Western culture and civilization is inherently evil. For my previous criticism of Sardar see my essay An Islamic defense of free speech (a critique of Ziauddin Sardar’s views on Rushdie’s Satanic Verses). Science is autonomous consensus-seeking about explanations of the natural world. An explanation is only scientific if it there is autonomous consensus about it among humans. Autonomous consensus means for many people to reach the same conclusion despite the almost-complete lack of pressure on them to reach that conclusion. If you have people in the United States, China and Egypt study the same phenomenon and reach the same conclusion about its explanation even though no one is forcing them to agree, then we call that conclusion scientific. Of course, this process can lead to false results, but the point is that as the process is carried out, it uncovers its own falsehoods and corrects them. Guessoum says that an essential aspect of science is methodological naturalism (the insistence on natural, rather than supernatural, explanations). I believe this may not be necessary because autonomous consensus-seeking automatically, over the centuries, leads to methodological naturalism. Humans necessarily do not all share the same faith or the same liking for supernatural explanations. Therefore when humans seek consensus, they necessarily must discard supernatural explanations one by one until only the natural remains. In other words, discarding supernatural explanations is a side-effect of autonomous consensus-seeking, it is not an essential part of it. You simply cannot have humans from different cities and countries all come to the same autonomous consensus on some supernatural explanation because that requires equality of faith and theology, something that never exists. But they can come to autonomous consensus about natural explanations, since no faith or theology is needed for this. Therefore the seeking of consensus about the natural world automatically causes the supernatural to fade away over time until only the natural remains. Now, medieval Muslims did not really have science because, while many brilliant minds sought explanations of the natural world (thus possessing one aspect of science), they did not have any concept of the importance of autonomous consensus-seeking, which is the essential element of modern science. They worked independently to understand the natural world, but they did not have sufficient self-awareness to generalize their methods into an agreed-upon process for uncovering the workings of the natural world. Al-Biruni defended science’s inductive method, but his method was never generally accepted or practiced. It took centuries of development before humans had sufficient self-awareness to think of science as a thing in itself. This self-awareness only started in the late 16th century with people like Francis Bacon. Saying medieval Muslims had science therefore discards an essential aspect of its development. We should instead say that medieval Muslims had elements of modern science while lacking its essential quality: that of being able to see science as a thing in itself, a process of consensus-seeking for uncovering facts about the natural world. Muslim “science” was un-self-aware science. Self-awareness is essential to modern science. Therefore trying to drag the concept of modern science into the medieval era, as people like Ziauddin Sardar try to do, only muddies the waters. It is also an insult to the ingenuity and hard work of Europeans who were able to see science as a thing in itself. It is true that Muslims contributed two essential things to science: the concepts of academic freedom and the doctoral dissertation that comes with it (see George Makdisi’s books). Christianity is a hierarchical religion that had little respect for independent initiative among scholars. Europe literally imported academic freedom from Islamic civilization where it was considered essential to the validity of the rulings of legal scholars (muftis). This was a foreign element in European universities that caused great conflict at first. Originally European universities were little more than servants of the Church and subservient to its authority. But Islamic academic freedom continually weakened the Church’s authority over the universities. Eventually, modern science was born out of this atmosphere. Islam may have been essential to the development of modern science, but Islam did not have modern science. It only provided some of its building blocks. It took Europe centuries to sufficiently develop these building blocks into what became modern science. While ignoring Islam’s contribution to the development of science is an injustice, ignoring Europe’s contribution to its development is also an injustice. 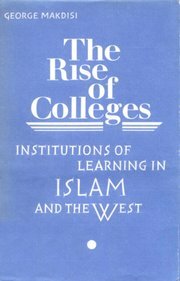 One of the best contributions of the book is Guessoum’s critical appraisal of the “Islamization of knowledge” fad of the 1980’s. This ill-defined program for reviving the Islamic world was based on the assumption that the modern sciences need to be re-built with Islamic concepts at their heart. This program was opposed by Ziauddin Sardar, who still subscribes to the equally silly post-modern idea that there is something inherently dangerous, un-objective and un-Islamic about modern science. Sardar’s modest proposal for solving Islam’s supposed science problem is the somewhat insane suggestion that we should throw out all of modern science’s axioms about the universe, nature, time and humanity to replace them with Islamic ones. Both the Islamization of knowledge program and Sardar’s are little more than hasty reactions to the West’s dominance. Both subscribe to the utopian idea that there is some magical fairy land of knowledge that can be attained once we somehow (nobody knows exactly how) combine Islam and science. The main underpinning of these two sides of the same coin is elitism: they come from a minority of intellectuals who think their services are needed to give the rest of the unwashed Muslim masses the keys to some utopia of knowledge. They are unable to realize, or refuse to admit, that every single Muslim intellectual and scientist will already be viewing the world just as they themselves do. Every Muslim intellectual and scientist will be forced to integrate Islamic ethics within their scientific and philosophical worldviews merely by existing and doing their jobs. Sardar also thinks that the hundreds of thousands of non-Muslim scientists out there are ignorant of ethical concerns. Science is inherently supposed to be “violent”, somehow these scientists are blind to the fact while he is not. Isn’t being so special wonderful? Guessoum gives an overview of the concept of theistic science, the idea that science should be or can be practiced in a non-secularized way. The problem it responds to is the metaphysical intolerance of some atheists who falsely believe that science leaves no room for religion. But in our answer to this mindset we should not hold onto yet another form of metaphysical intolerance. We should first point out that all science has some metaphysical underpinnings (even if it is atheist metaphysics). Next, we should call for metaphysical pluralism: we do not dehumanize others regardless of their metaphysics, and we respect them as our cooperators in our seeking of autonomous consensus regarding natural phenomena, even if our metaphysics differ. Consensus-seeking can be carried out regarding both natural phenomena and metaphysics. When it comes to natural phenomena, it is clear that all humanity is capable of hoping to reach consensus. But when it comes to metaphysics, we know that it is impossible for consensus to exist. There will always be Muslims, Christians, agnostics and atheists. What does that entail? For those of sufficient humanism and insight, it entails metaphysical pluralism. All humans enjoy a divine spirit, an inviolable dignity, that gives them the right to be partakers in consensus-seeking: both physical and metaphysical. That means we should not attack individuals who propose godless metaphysics (even if we criticize their theories). We must not attack the persons, but we can critique their thinking. We must not try to use force, arguing that theism must be accepted by all. We must instead call for pluralism: all humans have the right to seek the truth on their own terms. The only thing that we fight against is metaphysical intolerance: when militant atheists deny us the right to have our own metaphysics. Through metaphysical pluralism we can have intelligent discussions with those who disagree with us without dehumanizing them and refusing them the right to their independence of conscience. Non-theists, atheist or agnostic, remain human and continue to enjoy their God-given inviolability and dignity. We must leave it to them to accept their own metaphysics: there is no compulsion in faith/creed/religion, as the Quran tells us. If there is no metaphysical compulsion, then this means there is metaphysical freedom. People should be free to come up with their own metaphysics, and we should be free to come up with our own, and both sides should be free to critique the other’s metaphysics. Problems only arise in cases of metaphysical imperialism and intolerance. Of course, disagreements on metaphysics can lead to severe practical differences, as in the argument over very-late-term abortions. In such cases, as the spirit of Islamic law teaches us, the lesser evil should be chosen. And the lesser evil is tolerance, even if it leads to what some consider horrible deaths. In a Western society where the law permits such abortions, the lesser evil is to tolerate the law while working peacefully to persuade others to change it, as most people seem to recognize. The alternative would be a civil war between supporters of the law and its critics, leading to far greater evils. 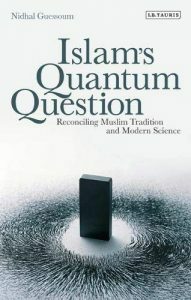 Nidhal Guessoum’s Islam’s Quantum Question is a good contribution to the discussion on Islam and science. While there is much in it that can be criticized, it can still perform the function the writer hand in mind for it; helping expose the weaknesses in the way the relationship between science and religion is envisioned in the Middle East. Dastūr al-Akhlāq fī l-Qurʾān might one of the most important works of Islamic philosophy in the 20th century. It is a work on Quranic moral philosophy by Muhammad Abdullah Draz (1894-1958), a highly intelligent Egyptian Islamic scholar who had thoroughly studied the Western philosophical tradition. The work was originally written in French as a PhD dissertation titled La morale du Coran presented to Sorbonne University. 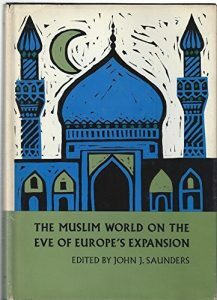 It was translated into Arabic by Abd al-Sabur Shahin and published in 1973. The English version, titled The Moral World of the Qur’an, was published in 2008 by I. 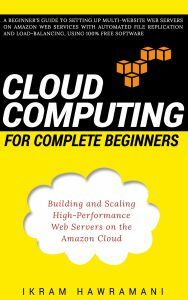 B. Tauris (Amazon link, it is absurdly expensive at the moment unfortunately). When picking up a book by a non-Western Islamic scholar, one fears to see modes of reasoning that are centuries behind the times (as commonly seen in polemical and partisan works). 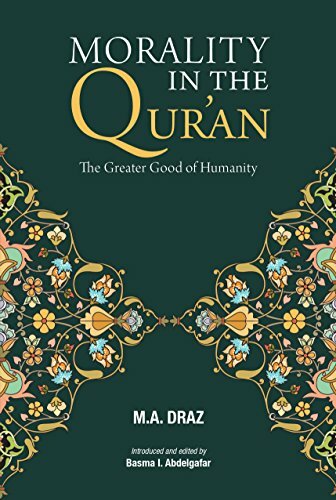 Draz is an early example, perhaps one of the earliest, of an Islamic scholar who is willing to engage with the West with a thoroughly open mind, willing to take Western thinkers seriously and willing to view Islam from a Western framework. He does his best to predict attacks on his lines of reasoning and answers many possible criticism. I did not expect to learn too much from this work, being so familiar with the Quran. But I am pleased to say that some parts of it were highly enlightening. Unfortunately both the Arabic and the English translation leave much to be desired. The Arabic translation appears to be a somewhat word-for-word translation of the French, extremely difficult to follow due to the near-complete absence of Arabic modes of expression. The English is not much better; its language feels almost as outdated as a book from 1850. Shorter (and cheaper) version on Amazon. 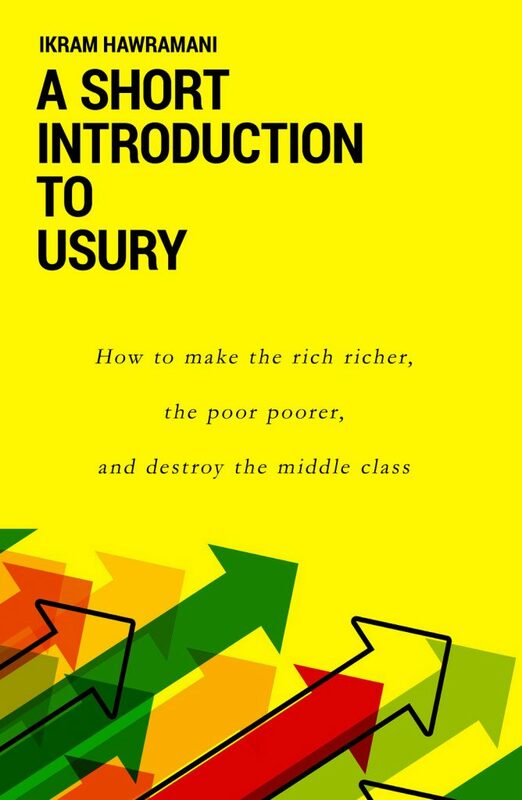 Also available as Kindle ebook. Maybe the reason is Draz’s own French writing still (his Arabic writings in his other books and articles are extremely easy to follow). What the book needs is a thorough modernization effort that does not merely translate the paragraphs but translates his thoughts into modern English. 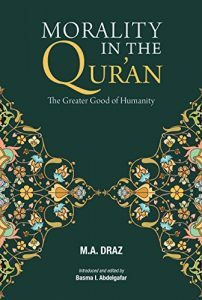 I found the following version (published 2018) by Basma Abdelgafar titled Morality in the Qur’an: The Greater Good of Humanity and bought it from the Kindle store. It shortens the work in order to make it more accessible. 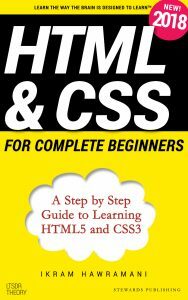 While this is a very welcome effort, unfortunately it is more on the order of study notes due to its highly abridged nature, and it uses many technical words that even college graduates will likely struggle. Still, it might be the best introduction to Draz’s thought that there is. 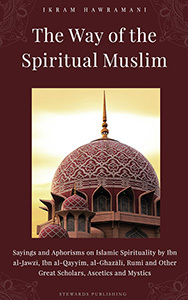 My new book The Way of the Spiritual Muslim is now available on Amazon.com as a paperback and Kindle ebook. 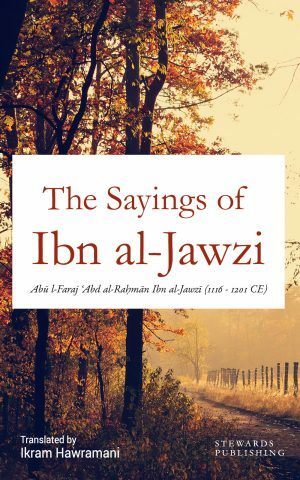 This book contains all of the sayings of Ibn al-Jawzī and Ibn al-Qayyim from my previous books along with new sections presenting the sayings of Ibn ʿAbbās, al-Ḥasan al-Baṣrī, al-Fuḍayl bin ʿIyāḍ, Imam al-Shāfiʿī, Imam Aḥmad, Imam al-Ghazālī, Jalāl al-Dīn Rumi and Ibn ʿAṭāʾ-Allāh. Is it sinful to cherry-pick which scholars you listen to? Ikram Hawramani / Dec 18, 2018 09:07 AM / No Comments on Is it sinful to cherry-pick which scholars you listen to? Is it sinful for me to cherry-pick what kind of da'wah I want to hear and accept? I don't enjoy and accept some of the 'ulama here in my country for their way of speaking or delivering the speech, even if it's true. I kinda disappointed by the traditionalist point of view and I want to start to build my own perspective to perceive Islam the way I really want to see and feel about it. I dislike the feeling of extremism that emerges every time I try to accept them, and so I stopped listening. Actually according to Imam al-Ghazali it is obligatory upon you to build your own Islam out of all the pieces you can gather rather than trying to follow the opinions of others. So what you are doing is perfectly fine. If you are not satisfied with what you hear, that means you are intelligent enough to seek knowledge on your own and to surpass them in understanding. Become a scholar yourself. 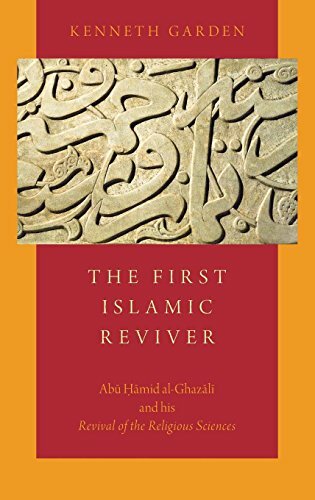 I recommend reading Western scholarly works about Islam’s great scholars and thinkers, such as Imam al-Ghazali, Rumi, al-Shafi`i, Imam Malik and others then reading the books they cite, and you will find a whole new world open up to you. 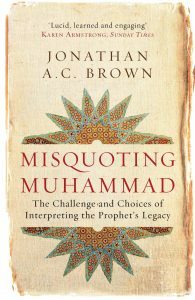 Professor Jonathan Brown’s Misquoting Muhammad: The Challenge and Choices of Interpreting the Prophet’s Legacy is one of the best English-language books about Islam written by a Muslim (he converted to Islam in 1997). 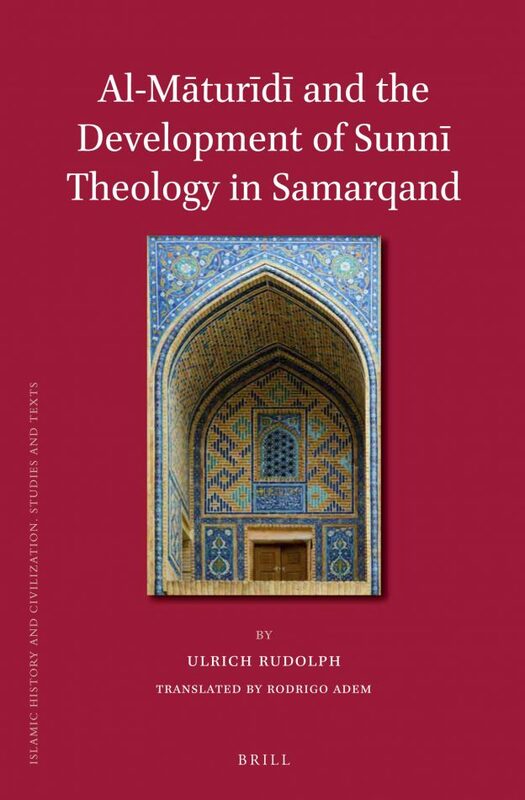 While the book’s focus is on the issues surrounding the authenticity and interpretation of hadith, it provides a good general history of the development of Islam’s intellectual tradition. The book will contain many eye-openers for Muslims and non-Muslims alike. 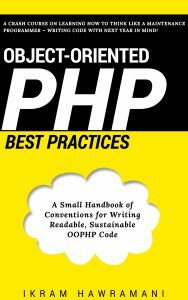 While rising many questions, the book does not generally provide conclusive answers. ...and so strong was the sense of duty to avoid carrying them out that Cairo’s senior judge chose exile over agreeing to execute two adulterers. While the Egyptian scholar Muhammad Abu Zahra is mentioned in the book, his important opposition to the punishment of stoning is not (perhaps Dr. Brown was not aware of it). 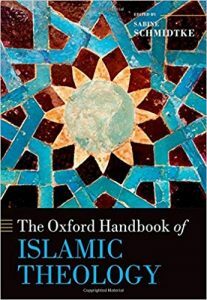 This book’s most important contribution, I hope, will be to encourage other Muslims to write works of similar quality; fairly balanced and supported by a great deal of evidence. A History of the Arab Peoples is a great general introduction to the history of the Arab countries and the history of Islam. It was written by the respected British scholar Albert Hourani (of Lebanese Christian descent). 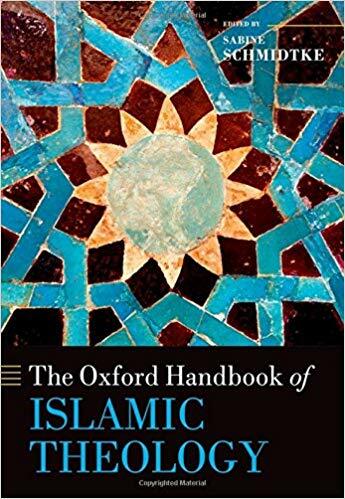 While not written by a Muslim, the book’s treatment of Muslims is balanced and fair-minded. 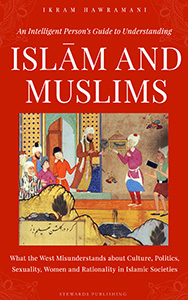 This book does not cover the history of other important parts of the Islamic world, such as Central Asia and the countries of the Indian ocean, therefore it should not be considered a complete history of Islam. The Qur’an by M. A. S. Abdel Haleem is one of the best translations of the Quran available in English. 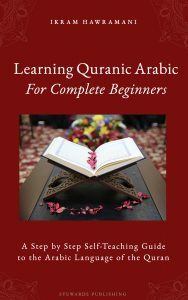 With its many clarifying footnotes, the book is especially helpful to people new to the study of the Quran.